I seriously feel like the Summer has slipped on by and we are all getting prepped for Fall. I am already planning to get ahead on organizing my closet and clothing drawers. Since I stay at home all day, my wardrobe takes the back seat. I like to go through my husband's things first and make a running list of what he may need for the change of seasons. Thankfully, Fall is usually easiest to dress for and we mostly just add some accessories like new ties, belts, or cuff links. 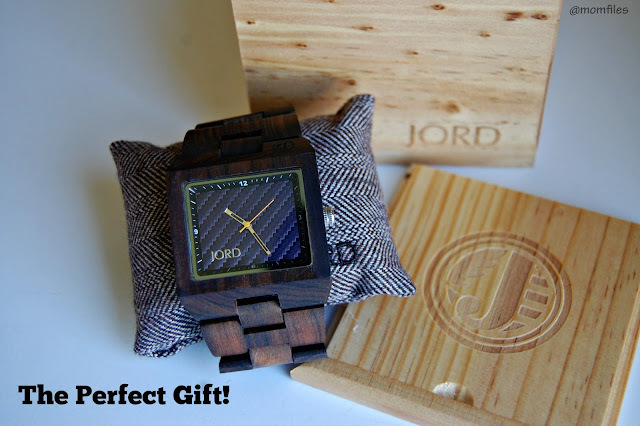 This Fall, my husband was lucky to receive a new JORD wood watch to add some flair to his wardrobe. He has become very obsessed interested in wrist watches and JORD offers a unique twist on ordinary watches. Their watch bands are crafted out of various types and finishes of quality wood that really makes a statement. Each time my husband sports his wood watch, people stare and ask questions. The latest one in his new collection is from the Delmar Series in Dark Sandalwood & Blue Carbon. This one is so masculine yet elegant looking and can be easily worn with casual attire, as well as his best business suits. You can't go wrong with a cool watch that can be paired with most outfits. This particular timepiece is available in a range of colors as well. At only $149, it is a great, affordable choice. He is thrilled to break out his favorite sport coats this Fall and looks forward to showing off his new wrist candy. 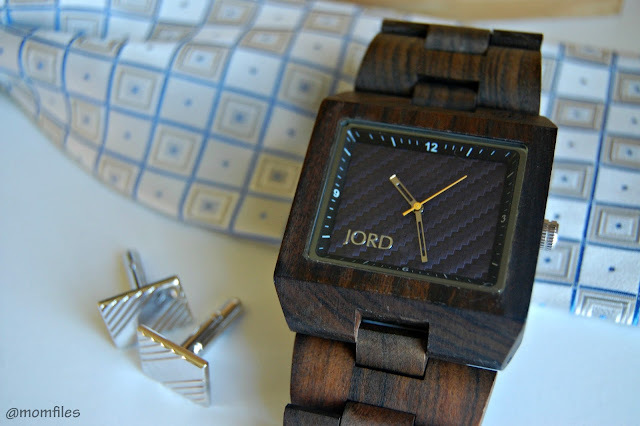 JORD Watches are not just for the fellas though. They have some beautiful selections in their women's collections. I noticed the trend of stacking watches and I really like it! Some of the wood watch bands and faces come in girlish hues like purple and plum. The watch design overall has a more feminine look. They have price points to suit your budget, starting as low as $129. My husband is looking at some of the other colors and finishes in the Delmar Series. He feels like this style suits him well. I really like them too, but he will have to wait in line. 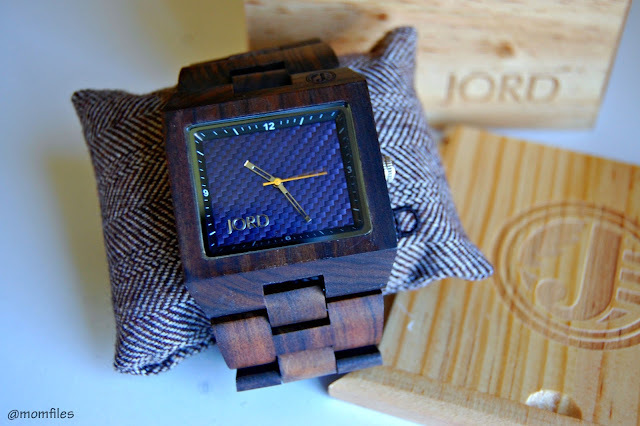 I'm next up for a JORD Women's watch. These unique wrist watches would make the perfect give for any occasion or even as a "just because" gift. 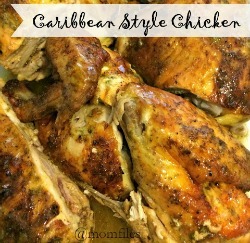 It's also not too early to start thinking about the upcoming holidays. Just like Summer breezed by, so will the next few months! Ordering your new timepiece is easy, but choosing the one you love the most will take some time. It's so hard to decide with so many stunning choices! Once you get that narrowed down, you can download a watch sizing guide to get the perfect fit. You simply pick your watch, the correct size, and enter your shipping/payment information. In a matter of days, your JORD watch will arrive beautifully packaged and ready for wearing or gifting. Be sure to follow JORD on Instagram, Pinterest, Facebook & Twitter for style inspiration, product updates, and more! Thanks for reading and let me know if you have any questions. 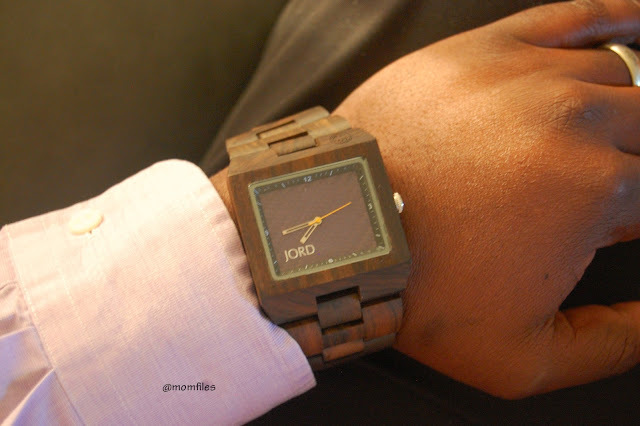 Okay, I have been seeing Jord watch everywhere. The watches they have for guys are nice but I think I want one for myself!